A sincere commitment to service with excellence and integrity has served Char Ekoniak well. From her early college years, Char’s natural talent for working with people was evident. 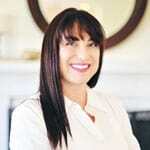 Her degree in Speech Communication from University of California Long Beach allowed her to develop the business communication skills crucial to success in Real Estate. To meet the demands of an ever-changing marketplace, Char obtained not only her Real Estate License but 3 Realtor Accreditation’s. She is a lifelong learner who consistently completes Real Estate, marketing and law classes in order to stay abreast of trends and conditions certain to affect his clients and their homes. This is why Char Ekoniak Should be Your Realtor!